Emerging infectious diseases are a key threat to public health and the majority are caused by zoonotic pathogens. Here we discuss new collaborative approaches to understanding the process of zoonotic disease emergence that link veterinary medicine, public health, and ecological approaches: conservation medicine and one health. 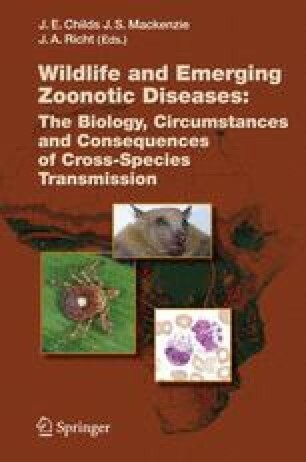 We demonstrate how studies on the underlying drivers of disease emergence (bushmeat hunting, wildlife trade, and deforestation) can provide ways to model, predict, and ultimately prevent zoonotic disease emergence and spread.